I’ve just had this published at online news site The Conversation. Viva les pollinators! Honeybees are in trouble – a stressful lifestyle and an unhealthy diet are being compounded by mite attacks – but we needn’t panic about pollination. Australia has many native bee (and other pollinator) species that could be taking care of business, if we only took better care of them. What do we mean when we talk about “bees”? For many, “bee” means the honeybee – any species in the genus Apis, the most well-known of which is Apis mellifera, the European honeybee. 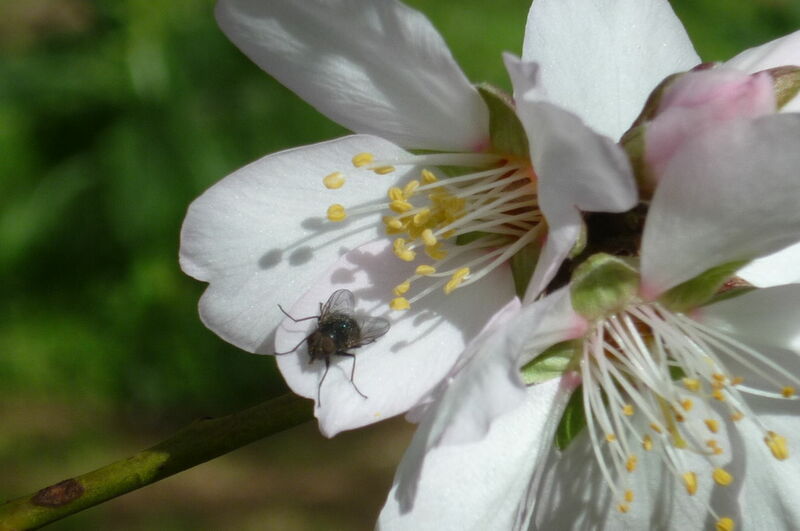 It is a generalist pollinator, which means it shows little preference when it chooses flowers to forage on. It could visit (and potentially pollinate) almost any open flower in its foraging range. It is also adaptable to a wide range of environments and is capable of being “domesticated”.